Eminem drops sly comic book reference in freestyle rap diss against Donald Trump – AiPT! Eminem’s Donald Trump diss track “The Storm” drops a sly reference that any comic book fan can appreciate. Yeah, you know the rest. And you and all your friends have likely heard by now of “The Storm,” Detroit-born rapper Eminem’s 4:34 freestyle cypher/rash-session of President Donald Trump which aired Tuesday night during the BET Hip-Hop Awards. Many Slim Shady fans cite the cypher (named such in response to Trump’s “calm before the storm” statement) as a substantive return to form, as the rapper hasn’t sounded quite so hungry, angry and raw in some time. ‘Cause you don’t got the f-----g nuts like an empty asylum. And is still told to go back to Africa. ‘Cause that’s how he gets his f-----g rocks off and he’s orange. A clobberin’ rhyme if we’ve ever heard one. 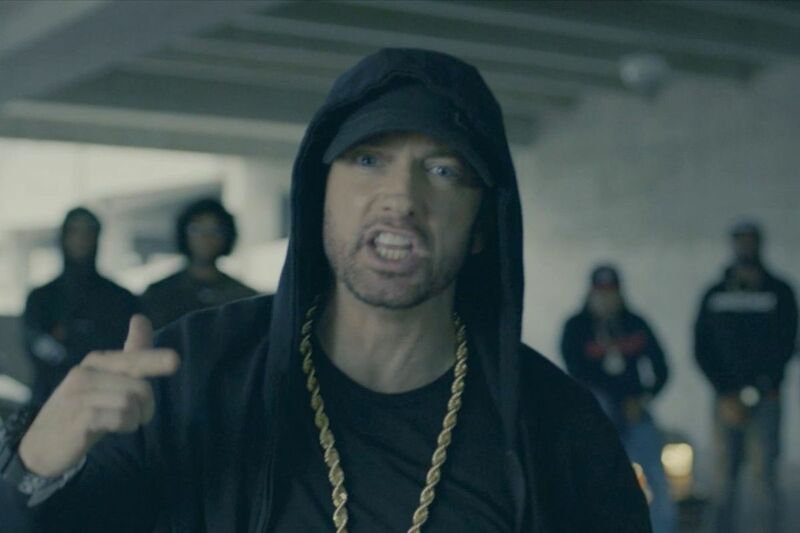 What’d you think of Eminem’s diss track against Donald Trump? Sound off in the comments.